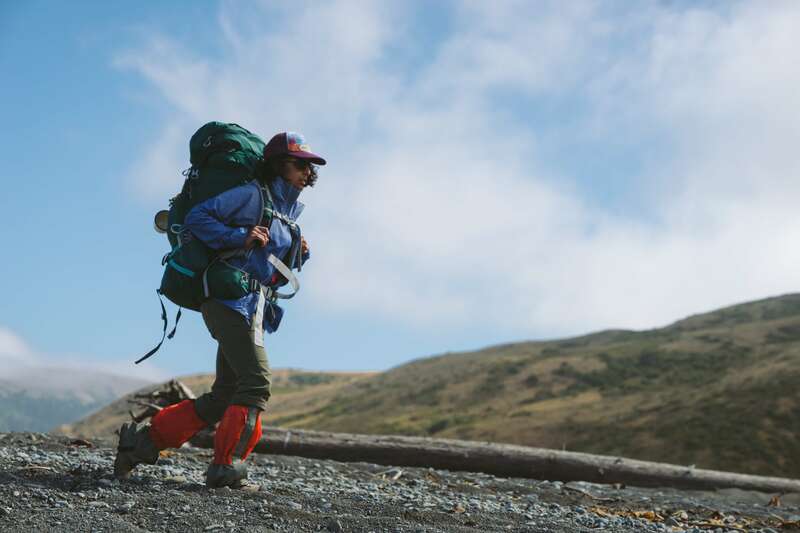 If you’re an outdoor enthusiast and like to hit the road quite often, then you probably are well aware of the hurdles faced by hikers when it comes to packing equipment. A typical hiker’s backpack consists of a ton of equipment that are necessary to stay safe and healthy while out in the wilderness. Packing all of these stuff into one backpack can become a challenge and sometimes impossible. As a result, we hikers are forced to carry around multiple bags for the different equipment which can a huge hassle. A typical backpack isn’t designed to hold everything a hiker requires during a trek. Hikers require specially designed backpacks that have the necessary features required for it to survive the wild and have ample space for to pack in everything into one single backpack. While these hiking backpacks do pack in every necessary item into it, amazingly, they aren’t too bulky. The days when hiking consisted of strapping on huge bags on you back and moving through the wild with an aching body are gone. Modern Hiking Daypacks are ergonomically designed and are compact, efficient and stylish. So if you’re an experienced hiker looking to get yourself a better hiking backpack or a new entrant to the world of hiking and are looking for a quality backpack, you’ve come to the right place. Here we have listed a few of the best hiking daypacks and reviewed them for you. So go ahead and read those thoroughly before you choose one for yourself. The Montem Diadema 18L is the finest example of a lightweight compact hiking day pack that combines all necessary features into one. It has been made of 100% ripstop nylon which means that this backpack is extremely sturdy. It is tear resistant, puncture resistant and waterproof. It pretty much has everything that you would expect out of a basic Hiking daypack. Weighing at a mere 4 oz, this is one of the lightest backpacks you will find in the market. The lightweight makes this backpack ideal for travelling (both local and abroad) as well as for outdoor trekking adventures. You can use this as a daypack, a backpack and basically an all-purpose travelling bag. This product by Montem also comes with a one year warranty against manufacturing defects. Read more here. This lightweight hiking backpack/daypack by Venture Pal is one of the sturdiest and durable backpacks that you will find in the market. Made of high quality tear resistant and waterproof material, this backpack will serve your backpacking need for ages. Inspire of being relatively cheap, it does not fall short when it comes to utility and boasts of a ton of convenient features that may come in handy during treks. It features breathable mesh shoulder straps that has a lot of padding to reduce strain on your shoulders. The adjustable shoulder strap and a great fitting chest strap makes this backpack extremely comfortable. It is thus ideal for long treks through challenging terrain. The backpack comes with multiple compartments that lets you keep your stuff organized. It has one main compartment, two zipped front pockets and two side pockets where you can store you necessary stuff. The 35 liters main compartment is huge and will be enough for you to store all your stuff, be it a one day trip or a week long journey. Read more here. The Zomake Ultra lightweight packable backpack is perfect for short travel adventures or for everyday use. It is extremely light, small in size, waterproof and has enough storage capacity for short trips. This backpack is ulta-light, ultra-durable and is perfect for day to day use, short vacations, day hikes, camping, school and shopping. With a total storage capacity of 20L and multiple compartments, you can keep your things organized in this backpack. The durability of this backpack comes from the high quality tear resistant nylon material. It has durable abrasion resistant SBS metal zippers which will ensure your zippers don’t wear out. It is extremely portably and can easily be packed into an ultra-compact pouch which is about the size of a sandwich. This portability is extremely helpful when you require extra storage in the middle of your trip. Read more here. The Outlander 20L/33L packable backpack is a great choice for short camping trips or for general everyday travel. It is extremely compact and can be folded into the zipped inner pocket and packed down to around the size of your palm. You can unfold it any time the need for some extra storage pops up. Weighing at only 0.5 pounds, this is very lightweight as well as sturdy. It has a total storage space of around 20L/33L, depending on which one choose to go for. The multiple compartments allow you to organize your stuff into different pockets so that you don’t need to fumble around inside the bag looking for what you want. Made of high quality tear and rupture resistant nylon material, this backpack by Outlander is extremely durable. This high quality backpack provides strength and long lasting performance combined with tons of useful features and lightweight. Read more here. Weight – The weight of the backpack is one of the most important aspects to keep in mind when buying a hiking backpack. The backpack is one of the heaviest thing that you will be carrying around on your trips and thus you should try to go for the lightest one you can find. While there are plenty of very high quality hiking daypacks out in the market that provide a ton of utility, a lot of those can be quite heavy and bulky. A heavy backpack that does not have proper padding on the straps and other features to provide adequate support can be very torturous for your back. The last thing you’d want in the middle of nowhere is to get a back injury. We thus recommend that you always look at the weight of the product before purchasing. All of the four hiking daypacks recommended in the article are lightweight and are great options for you to look at. Frame – The frame of the backpack you choose should depend on the amount of weight you wish to pack in. If you’re going for a relatively short trip and do not require a too much equiptment, then a backpack with a small frame – such as the ones suggested in the article – should suffice. However, if you require a ton of stuff to be packed into your backpack, then you should look for a backpack that has a bigger and sturdier frame. A sturdy frame is better disposed to support a larger amount of weight as well as providing better support to your back. Volume – The volume of your backpack will determine how much stuff you can pack into your backpack. So the volume of the backpack you choose should thus be enough to fit in all your equipment as well as all other necessities you plan to carry around. An experienced lightweight backpacker can easily fit all of his equipment into a 40-50L backpack. If you’re fairly new to hiking, it is recommended that you choose a backpack with a slightly higher volume, especially if you’re going for long treks. Once you gather enough experience, you can easily cut down on a lot of unnecessary stuff and bring down the need for a huge backpack. It is however recommended that you chose a high volume hiking backpack if you plan to go on long snowy winter treks. Material – The material of your hiking backpack is very crucial as it determines the overall durability of your backpack. You should always read the details of the backpack you’re buying and know what it is made of. Most lightweight backpacks are either made of dyneema or ripstop nylon. Both of these are highly functional and well suited for hiking backpacks as they are extremely durable. Additionally, they are waterproof and, most of the time, puncture resistant as well. Dyneema is however a more superior material but is also more expensive. So make your choice based on your budget as well as your requirements. Design – A hiking backpack is essentially just a sack that helps you carry around your equipment comfortably and efficiently. It does not need to be highly complex and good looking to be exceptional. Most of the times, backpacks that have simple and streamlined design elements are the ones that perform the best. You do not really need to go overboard with dozens of compartments, zippers, pouches and straps. It is thus recommended that you look for a simple backpack that provides sufficient utility to suit your needs. Fit –How your backpack fits on your back is one of the most important things to check out before you get it. The fit of your backpack is the primary determinant of how comfortable it will be. You surely would not like to carry around a loose fitting and heavy backpack on your long treks. So make sure you measure your torso length and hip belt size and then place your order accordingly. Price – You do not need to shell out a fortune to get yourself a quality hiking backpack. Of course you may get a lot more additional features and higher durability in the more expensive ones. But if you take care of your backpack well, it should last you for a lifetime and hundreds of trail miles. In this article, you have lots of different backpacks to choose from that come at different price points. So read the reviews carefully and make your choice based on what you require and how much you are willing to spend. Main Compartment – The main compartment is the primary storage space in your backpack where you can store the majority of your gear. It is important to consider the volume of the main compartment before you purchase your hiking backpack. Front Mesh Pocket – Most hiking backpacks come with a large mesh pocket at the front which can be extremely handy while on the trail. This mesh pocket can be very useful for stowing away get quickly or for keeping the easily accessible. You can also use it for drying out wet gear. Shoulder Straps – How the shoulder straps of your backpack are designed will have a significant impact on the comfort levels of your backpack. Look for backpacks that have good padding on the shoulder straps as it will help in absorbing a majority of the strain from your shoulders. Waterproofing – Most of the Hiking backpacks out in the market are made of waterproof material. But it is not a good idea to rely solely on a backpack for waterproofing. Even the best quality dyneema will have seams sewn which will keep it from being totally waterproof. It is thus advisable to keep important items such as sleeping bags and electronics stuffed into waterproof stuff sacks inside the backpack. Hip Belt – A hip belt is an essential feature of any hiking backpack as it holds most of the weight of the backpack on your hips. It helps to support the shoulders while on the trail and keeps your shoulders from tiring. The hip belt should be able to transfer weight without slipping and feel comfortable. Hip Belt Pockets – Hip belt pockets can be extremely convenient while on the trail as it allows you to have easy access to some necessary items such as snacks, sunscreen or cameras. These small pockets allow you to store small items within your arms reach. So hopefully this guide on the best hiking daypacks has been of some help to you. If you are new to hiking then you should definitely check out the reviews of the best hiking daypacks. Read the reviews carefully before you make your choice.